Spring is arriving and that means we are going to start seeing more of our vertebrate friends. Sometimes they even make themselves at home where we really wish they wouldn’t! Over the month of April, we’ll be looking at options for managing the vertebrate wildlife that makes itself at home where it’s not welcome. Cage Traps vs. Live Traps: What’s the difference? The first step to managing your new vertebrate guest is to choose the right equipment. When the average homeowner says “live trap” they’re usually referring to a cage trap. As professionals, we know that a cage trap is a live trap, but not all live traps are cage traps. 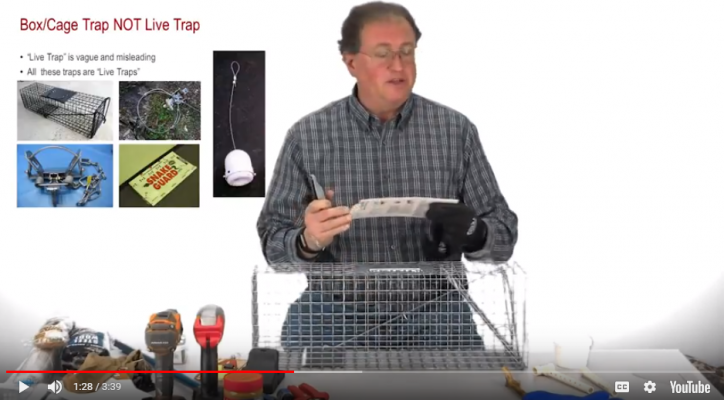 We asked our expert Stephen Vantassel to fill us in on the different types of live traps, the various styles of cage traps, and what to look for when purchasing your equipment. This entry was posted in Pesticide and tagged Cage Trap, Live Trap.